“How To Practice” is a step-by-step video guide on planning your range time by working on the perfect drills for your specific needs. 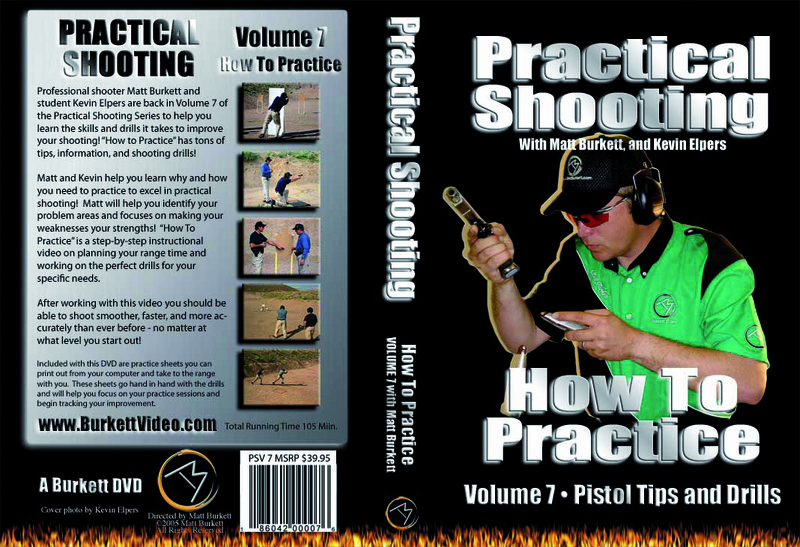 Professional shooter Matt Burkett instructs student Kevin Elpers in Volume 7 of the Practical Shooting Series - "How to Practice - Pistol Tips and Drills," revealing the concepts and techniques used by professional shooters to develop and hone their skills. Matt and Kevin show you how and what you need to practice in order to excel at practical shooting. By identifying problem areas, Matt will show you how to make your weaknesses your strengths. Included are printable, practice sheets you can take to the range, which will help you focus your practice sessions and begin tracking your improvement. 105 minutes.